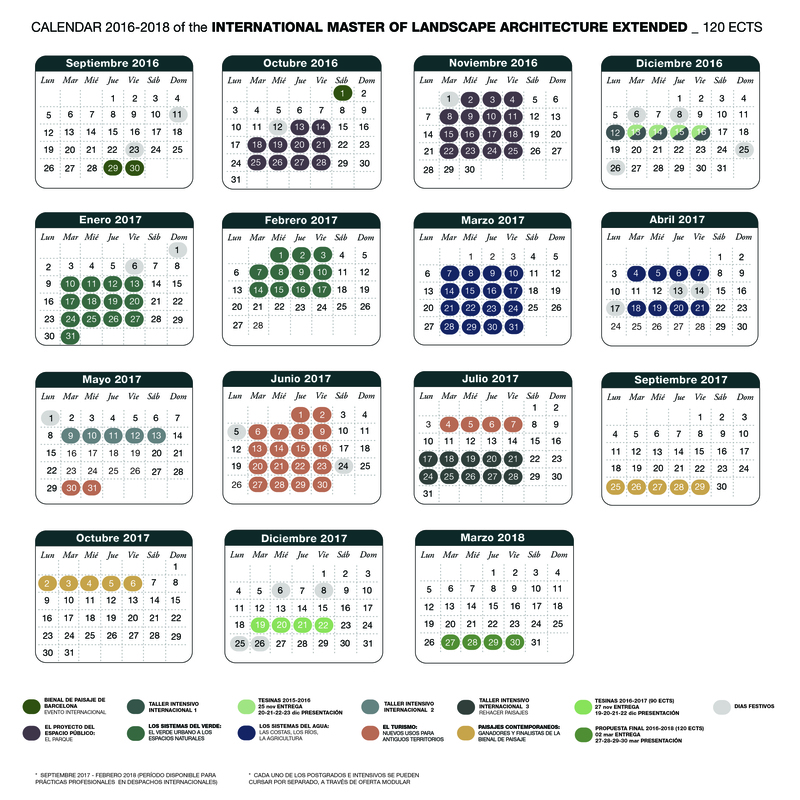 MASTER IN LANDSCAPE ARCHITECTURE 120 ECTS – Master in Landscape Architecture Barcelona – Universitat Politècnica de Catalunya – 35ª EDITION. 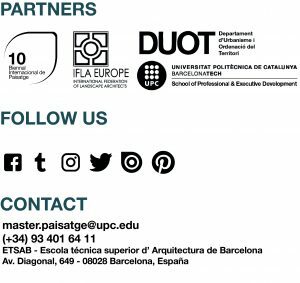 The master’s programme BCN Master in Landscape Architecture is an intensive programme (developed over 18 months) made up of four core or post-graduate workshops, three intensive internationall workshops, one critique on contemporary landscape projects and a final project. This final project will involve a period of work experience in a landscape architect’s office for a minimum of 10 weeks along with a thesis, and each student’s personal and critical research project. Each workshop will deal with current and real situations presented in a specific social and economic context. The first stage of the project will be a proposed field visit with the students organised in multidiscipline groups to carry out the project. These workshops will be led by expert teachers in the field of intervention and with recognised professional experience. They will be responsible for tutoring and mana-ging, through correcting and guiding the students in their projects. The lectures and conferences will be given by recognised and experienced academics and professionals to help the students gain the required knowledge and understanding of the concepts applicable to their projects. A corrective assessment will be carried out halfway through the workshop (week 3) and a final presentation (week 6) at the end of the course. Classes are held four evenings a week , Tuesday, Wednesday ,Thursday and Friday except for intensive courses, which are Monday through Friday. We organize tours and excursions related to the themes of each workshop during the weekend, in addition students have to attend the parallel activities that are usually organized outside the schedule set by the program (lectures, excursions, etc. ).